The Huawei Mate 10 series was officially unveiled yesterday. At that time, the Chinese company revealed the devices will go on sale in October and November, and also shared a list of countries that will get them in the first launch wave. That list included the company's home country of China. And now, Huawei has confirmed the official China launch date for these handsets - it's October 20. 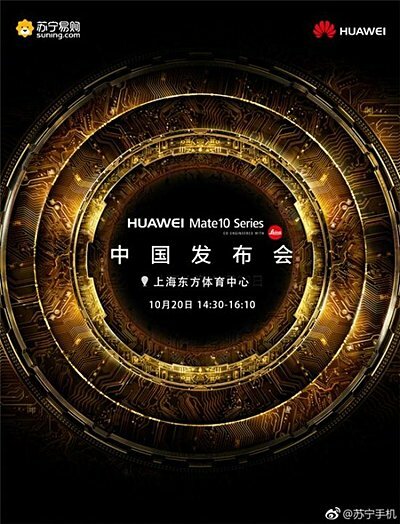 As clear from the image above, the complete Mate 10 series of smartphones - including the Mate 10 Pro and Porsche Design - will be made available in China. Information related to pricing as well as exact availability is also expected to be revealed during the event.